Bitcoin is a decentralized digital currency that allows users to send and receive money from one person to another without the need to involve a third-party broker. All that you need is a computer or mobile device to initiate a Bitcoin transaction. Since the currency is decentralized, Bitcoin is controlled by everyone. As such, anyone can benefit from it. Its power is not owned by any institution, organization or government. Instead, Bitcoin belongs to the public and is used by the public. One may tend to think that the lack of control translates into chaos when using the currency. But the reality is that blockchain, the technology behind Bitcoin, is secure and accurate. Bitcoin is supported by an emerging technology called blockchain. 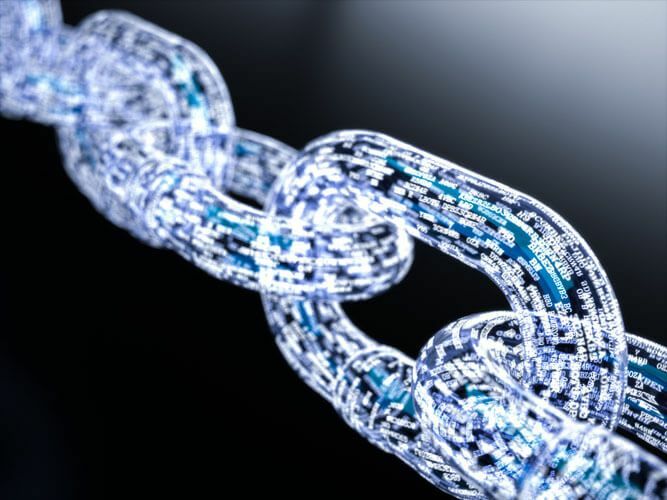 A blockchain is a ledger that keeps tracks of all the digital transactions that are made through the Bitcoin network. Unlike banks and other institutions where there is a central administrator, blockchain makes use of batches that are known as blocks. The data batches then make use of cryptographic validation to interlink. By identifying and interlinking to other blocks through a hash value, the blocks form an unbroken chain. Bitcoin works to solve two of the major issues in digital transactions—the ability to operate information and avoid duplication. For instance, when a purchase is made, the ledger records all the information and sends it to all the other computers in the network globally. Computers compete to confirm the operation through solving math equations, and the first computer to figure out the answer receives an award known as Bitcoin. The entire process in which complex math calculations are solved is called mining. After the validation of the block, it is timestamped and added to the existing chain in chronological order; there is a continuous update of the chain to give a true representation of who owns what at any given time. Currently, Bitcoin is owned by the community. This is because it is an open-source initiative and there is no single person behind it. The presumed inventor of Bitcoin, Satoshi Nakamoto, is anonymous and sort of acts as a community-owned figure. The legality of the currency depends on where a person is located. For instance, Japan was the first country to legalize the use of Bitcoin in trade. From the market conditions and usage, India may also be forced by demand to authorize the use of Bitcoin in trade. Currently, Bitcoin usage operates in a gray zone; there is no official ban or approval of the currency in most countries. 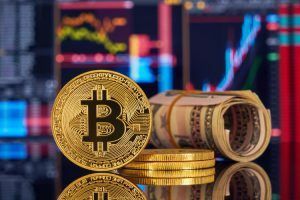 In this comprehensive overview of Bitcoin, we will also seek to know what drives the price of cryptocurrencies in general. Factors that affect Bitcoin also have an impact on other currencies. The main reason for the fluctuation of Bitcoin is due to the stage that it is in. Currently, the coin is still in the development and nascent stage. Too many rumors exist around how legal the currency is. The common citizen is learning about the existence of the currency. Presently, the digital currency can be compared to a young child growing up; it becomes hard to determine the growth pattern of the child until they reach a certain stage of maturity. In the short term, though, there are plenty of factors that contribute to the fluctuation of Bitcoin value. Hackers can disrupt the distribution of the cryptocurrency in the market. The hacking of Mt. Gox significantly brought down the price of the currency over the course of April 2013 and reduced the public’s trust in the exchange. 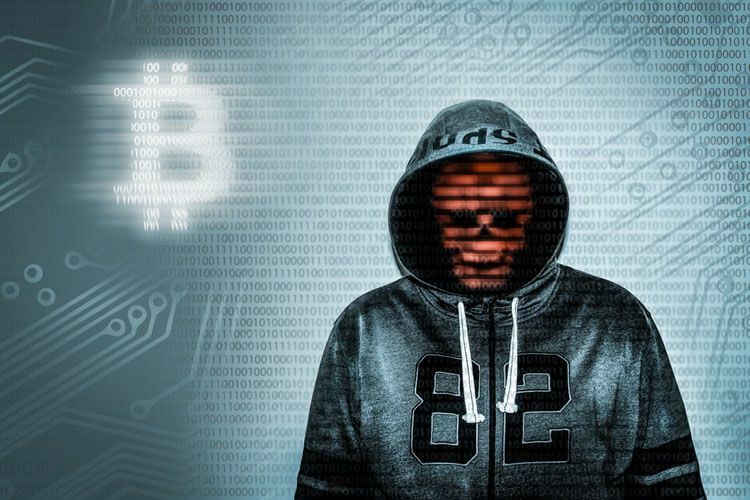 The continuous threats by hackers always affect the price of Bitcoin. The decision by Japan and Australia to recognize Bitcoin as a legal tender made the demand for the currency to surge. Speculation by other nations, such as India, that Bitcoin could be officially accepted makes the demand even higher. With more acceptance of the currency, then the price will rise. Affirmation is a perfect example of how the prices of Bitcoin increase. Currently, there are lots of activities that require Bitcoin in order to operate. Illegal activities take the lead in this context, with Ponzi and MLM schemes following closely. When international governments crack down on such activities, then the price of the currency falls or rises. Hackers have also been known to request ransom payments in Bitcoins after gaining unauthorized access into computer systems and obtaining the data therein. The average citizen is now aware of the currency, and most of them are willing to invest in it. Previously, only the young IT geeks were known to take an interest in Bitcoin as they could bear the risk. However, older people are becoming educated about the currency now, and they are willing to invest in it even as the value of Bitcoin continues to fluctuate. Since the introduction of Bitcoin, there have been quite a number of enthusiasts trying to make fortune out of it. There are, however, some challenges involved with this kind of trade that seems to be lucrative at the same time. 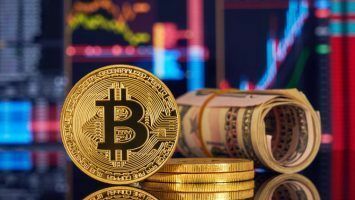 One of the major problems is that there are more Bitcoins oscillating in the digital market, and many investors are ready to make some huge profit out of them. Nevertheless, when people invest in Bitcoin and end up selling in huge numbers, it can end by having the market crushed. This always is the case when the merchants invest too much Bitcoins in the market with the primary intention of accumulating profits within the shortest time possible. When they are done with their mission, they dump everything, and this leads to the crypto market being adversely affected. Many people always tend to rely on media as the most reliable primary source of information. The only problem is that when media collects data and uses that to draw conclusions, they don’t always present things as they really are. For instance, when there is a problem with Bitcoin, like investors facing huge loses, the media tends to cover the story in a way that falls short of covering all the facts. It would only be fair enough when the media mentions the reasons why such loses occurred and how the problem might be solved in the future. 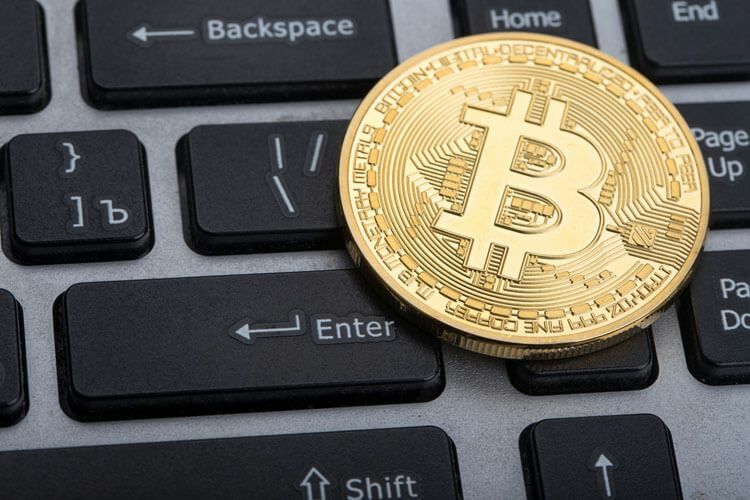 However, when the media concentrates entirely on the negative, they tend to scare away the potential investors and even future merchants who would love to explore the benefits of Bitcoin. 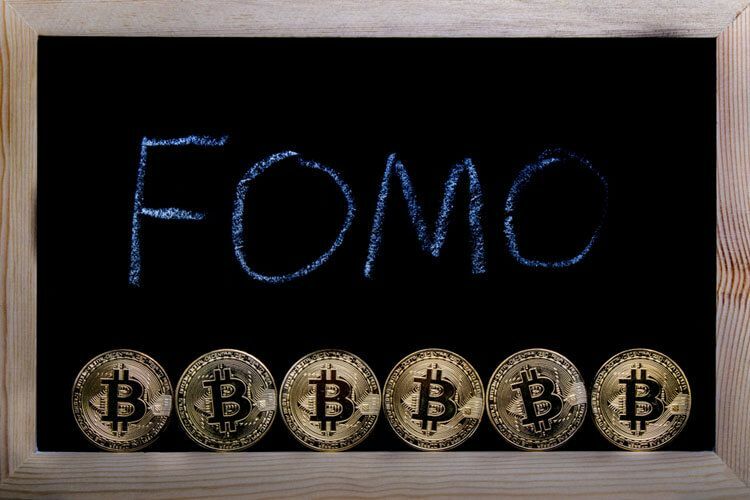 FOMO, or “Fear Of Missing Out,” has some significant role to play in the Bitcoin market. This becomes relevant when the investors who are trying to benefit from Bitcoin start to develop the feeling that they might miss an opportunity that could lead to double, triple and or even quadruple gain within a short duration. 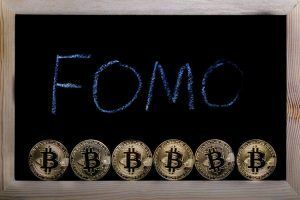 FOMO is applicable in the current Bitcoin economy as there is always an exponential growth in the number of individuals taking the risks and investing in the same. The cryptocurrencies have moved from few cents to thousands of dollars in worth. 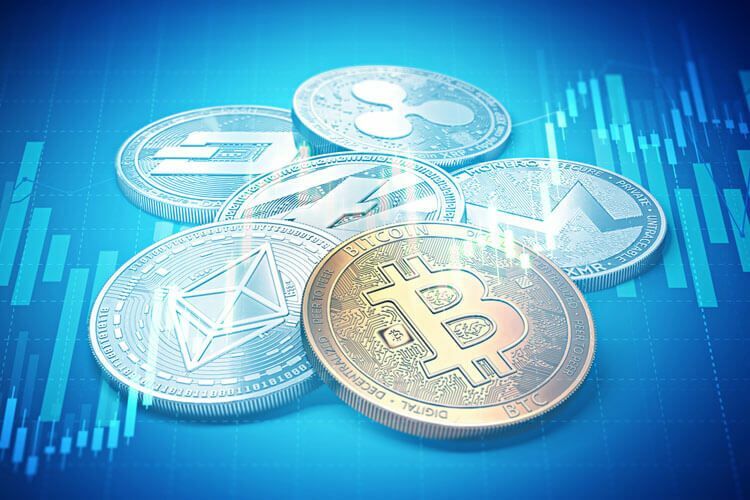 It is crucial to mention that a large part of this is due to FOMO as broadcasted by the media that the Bitcoin and other digital coins are doing so well in the digital currency platform. Public sentiment is basically the perspectives that people have toward Bitcoin. This is always attributed to the image given to Bitcoin by the investors and media platforms. Ideally, what the media says about the crypto industry in general has a substantial impact on how the potential investors and merchants shall end up viewing it. 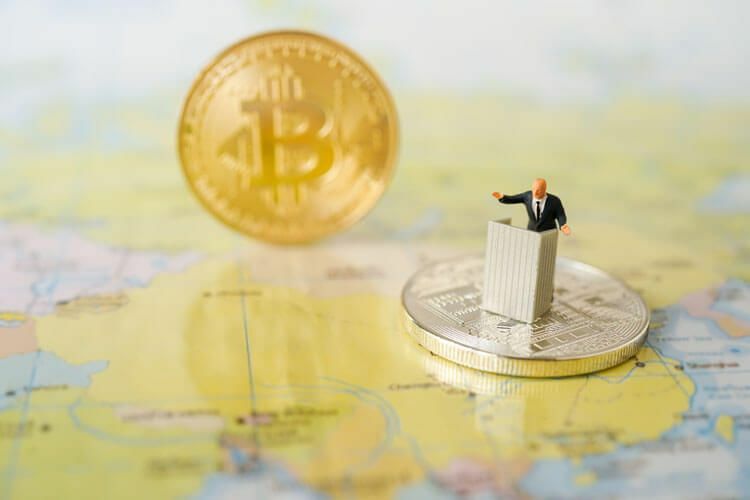 Again, the public sentiment can be used by the Bitcoin platforms to gauge the right way to engage with the clients so that they end up painting an attractive image for the same. Government intervention always has a lot to do with the level of success accomplished by the Bitcoin enthusiasts. 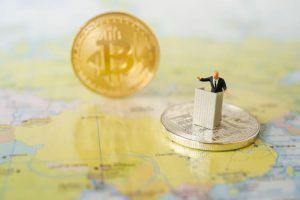 For instance, it has been recently reported that some federal bodies are trying to track down transactions with an aim of evaluating the credibility of the Bitcoin traders. Such moves might be both good and bad, in that they can reduce the crime rate; while on the other hand, this move can end up discouraging traders who are only willing to transact anonymously. Basically, the value of the fiat money is largely based on the public faith and opinion on the issuer. The value of the commodity money, on the other hand, is based on the material used by the manufacturer such as silver or gold. Therefore, it is accurate to conclude that the fiat money lacks an intrinsic value, while the commodity money does not. The changes in public confidence in a government giving out fiat money may just be adequate to render the fiat currency worthless. The commodity money is able to retain value based in the material or metal content that it has. The fiat money is currently at the risk of facing inflation since its value is not intrinsic. One of the most irritating aspects of Bitcoin for users of the cryptocurrency is the price fluctuations. Despite the advantages that Bitcoins hold over traditional online payment methods such as VISA/MasterCard and PayPal, there are some negatives to be noted also. Unlike fiat currency, cryptocurrencies today suffer from wild fluctuations in value with the prices going up and down an average of 5 percent in 24 hours. 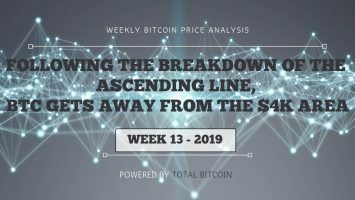 The prices of BTC and crypto altcoins often also move opposite to each other during these 24- to 48-hour up and down cycles. This phenomenon is not as random or natural as one might expect, however. A significant force behind these price fluctuations is very well financed speculators with their hands on tens of millions of dollars in capital. These big players are colloquially known as whales. Perhaps the most famous example of a whale is Japan’s Nobuaki Kobayashi, who is the trustee for the bankrupt Mt. 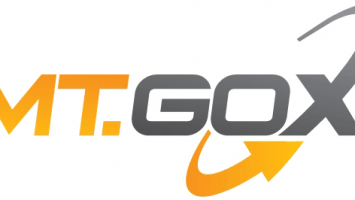 Gox exchange, at one time the largest Bitcoin exchange on the planet until it was cyber robbed of 850,000 Bitcoins. 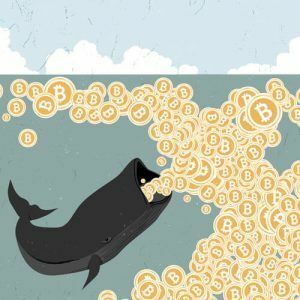 While Kobayashi has admitted to selling more than $400 million worth of Bitcoins, he is nowhere near as dangerous and compelling to the casual Bitcoin user than the other smaller, nameless whales who swim around in public exchanges. The activities of these smaller and more numerous whales are shrouded in secrecy because unlike the very public Kobayashi, these whales do not have any compulsion or obligation to make their identity and intent known to the general public. However, if you use a cryptocurrency exchange such as Poliniex, Bittrex, Kraken, Bitstamp or Bitfinex, you can quite possibly spot these whales in action. Take a look for example at the BTC/USD charts at your favorite exchange. Look at the times when the price spiked upwards. Sometimes you will see the price just inch upwards in a nice curve but other times it will be one big jump. This can signal the entry of a whale into your exchange. The purpose of this trade is to pump and dump. Specifically, the upward spike is part of the pumping strategy of the whale. The whale plans its entry very carefully, at a point when the currency is slightly underpriced. This is similar in timing to the familiar “buy low and sell high” strategy of most day-traders, however, the whale has a more insidious purpose in that it plans to drive the price up by increasing confidence in the market by virtue of the sheer volume of the whale’s own portfolio. The market at this point feels that the whale is here to stay, and that confidence is reflected in the price of Bitcoin or the altcoin in question. Smaller investors will buy in too and then, much to the delight of the whale, will supposedly secure their investment with a stop loss. These stop losses are just what the whale needs in order to milk the smaller players of their so-called investment, and this is exactly what happens during the dump phase when the whale is confident that enough stop loss orders are present to make a grand exit with a huge profit. Since the currencies are digital in nature, they cannot be counterfeited. Moreover, they cannot be reversed arbitrarily by the sender as is the case with credit cards. Thus, for the people who are into the trade, they are sure that they cannot defraud their money. Throughout history, scammers have been fleecing individuals since the invention of money, and with every new generation of technology is an opportunity for scammers to make huge amounts of cash. Bitcoin is not an exception since it is a scammer’s dream and for obvious reasons. Only a few people have a clear understanding of how Bitcoin actually works. This gives the scammers an opportunity to craft fake promises and tapping out money from Bitcoin enthusiasts without getting caught at any moment in time. Secondly, Bitcoin is in most instances anonymous, which makes it easier for the scammers to cover their tracks. The one major problem is that once Bitcoin and/or other cryptocurrencies are stolen, they never find their way back to the rightful owners. The Bitcoin platform is largely unregulated, which means there are numerous ways that the scammers are able to make away with cash without going against the law, and only a few authorities will even bother to go after them. That said, in order to stay on the safe side as a Bitcoin enthusiast, some common sense will keep on you safe from the scammers. There are some things that the Bitcoin users must always look for on a regular basis so that they are able to avoid fraud. These things include virus and malware downloads, Ponzi schemes, everyday scam attempts, and fake and imitation wallets and exchanges. While doing all that makes a user safe from being scammed, there are still some loopholes that the scammers can use to hit their targets. To illustrate further, the everyday scam attempt may include an email from a stranger stating that they just inherited some fortune in Bitcoin and are ready to share it. Then one should know straight that it is a scam and they should not associate with such individuals. Some of the scammers also claim to be from the Internal Revenue Service and threaten to take legal actions against their subject unless they receive Bitcoins from them. One should be able to watch for such attempts and never send Bitcoin to any scammer. Further, cryptocurrency scammers can easily make money by just coming up with malware campaigns. As with most instances, people receive emails in which they are supposed to open an attachment or click on a malicious link, leading them to the malware download. Also, there are some people who share information on social media claiming that when one clicks on the link, they get to download a program that gets them started with a chance to enter a Bitcoin mine that will change their life. Such posts should and must always be treated with suspicion. There are probably numerous Bitcoin and cryptocurrency exchange websites that one can depend on, but it is impossible getting to them by blindly following strange links. It is a lot safer to do some research for sites that have good reputations in terms of legitimacy. If one is stuck in the process, it is advisable to seek some help from an expert. One of the most effective ways to ensure that one does not get scammed even when they’re not a victim of malware is to always use two-factor authentication on all their accounts. Another security tip is to make good use of a cold storage offline wallet. Cold wallets does not have any connection to the internet. Only use well-known services. Still, keep in mind that although better-known services are much safer, they are likely to attract imitators, which means being careful is the best principal to employ in this scenario. When the imitators convince a potential user to log into their fake account, they use those details to steal the victim’s Bitcoins. Scammers can also use fake ICOs to invite people into a newly invented coin that is likely to take off and become the next biggest thing in the cryptocurrency platform. This is quite tricky to handle as even the creators themselves are not aware of the fate of the new coin. It is possible to avoid ICO scams by finding out what they are getting into on a consistent basis. One should be able to make their own decision whether a new coin has the potential to make it big or not by doing rigorous research about the same. In order to do this well, one must be in a position to find out what makes Bitcoin fluctuate and what drives the price of Bitcoin. One of the best ways to avoid Ponzi schemes is by being aware of the too-good-to-be-true offers on various online platforms. One should be in a position to think about whether the offers and their promised returns are actually sustainable before they are able to invest. An individual should make sure that they do their homework well and that they gather as much information as possible so they can make rational decisions at the end of the day. When using credit cards, the merchant gets full access to your credit line; this is the case even when the transaction is for a small amount. Generally, credit cards work through a pull basis where the store initiates the payment and pulls the currency from your account. On the other hand, cryptocurrencies operate on a push mechanism. The buyer can pay the exact amount that they desire from their holding with minimal exchange of sensitive information. Thus, the users are safe. To purchase physical assets or property, there has to be third parties such as lawyers and notaries. The tedious nature of these purchases can cause delays in payments along with transaction fees. But since the the blockchain works like a huge property rights database, Bitcoin contracts are designed and enforced to eliminate the third approval parties. The contracts established can also be retained to be settled at a future time. By the end of 2017 something strange was happening to the Bitcoin ecosystem. In prior years, much of the transactions done in Bitcoin were by investors and speculators trading the coins amongst each other for fiat currencies as well as for other cryptocurrencies since Bitcoin is well on its way to becoming the reserve currency of the cryptocurrency world. In other words, as much as the U.S. Dollar is held as a reserve currency by large financial institutions in world trade, Bitcoin reserves were now being held by cryptocurrency exchanges because oftentimes the only way one could buy a new cryptocurrency was by trading it for Bitcoins. The net effect amongst traders and speculators was that Bitcoin was experiencing a big spike in the number of transactions. Add to this the fact that online adoption of Bitcoin (as a currency to buy and sell digital goods with) was also increasing rapidly. The Bitcoin blockchain came under a lot of stress and transaction fees started to skyrocket as miners demanded more money. The Lightning Network, developed by a company called Lightening Labs, is basically an improvement in the way that Bitcoin nodes submit transactions to the blockchain. Often times really large Bitcoin nodes that conduct a lot of transactions will push their transactions to the blockchain almost instantly. The problem is that this “spams” the blockchain with small transactions which have to be later aggregated into optimally sized blocks into the ledger system. This takes extra time and resources. What Lightning does is take the transaction off the blockchain, using various predictive mathematical algorithms, like game theory, to predict which nodes will produce a high frequency of new transactions at a certain time of day in the near future. Lightning will then proactively ping those nodes and help them aggregate fresh transactions into optimally sized blocks which are then spread out over the blockchain much, much faster and cheaper than before. The widespread adoption of Lightning is going to keep transaction speeds high and transaction costs low. This is meant to bring an improvement on what many people encountered in late 2017. The lighting network is crafted to ensure that the cryptocurrency transactions are made faster and easier. The software can now be utilized for Bitcoin payments after being tested for more than 12 months by veteran Bitcoin users. The latest version of the software is easily compatible with a range of networks being crafted by other teams, like Blockstream and Acinq. Due to the Lightning Network, Bitcoin has practically become a digital gold or an authentic investment alternative to many individuals. 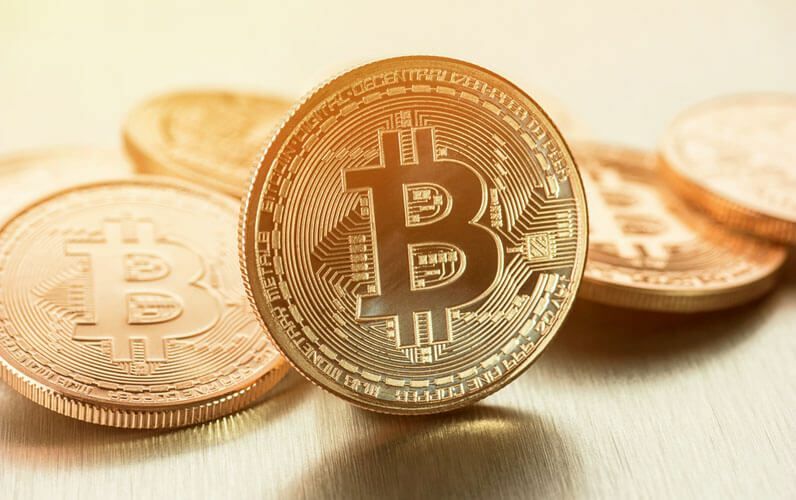 However, it has been a challenge for Bitcoin to fulfill its original purpose of becoming the primary digital currency since the transaction fees substantially skyrocketed in late 2017 to as high as $50 while the confirmation period went for as long as one week at their peak. Most enthusiasts believe that the Lightning Network is here and will be the best solution for such problems as they make Bitcoin face stiff competition from other digital currencies. Ideally, the Lighting Network serves the purpose of rolling out another technology purposed to speed up the transactions, gains transaction, segregated witness, with numerous transactions leveraging it doubling to more than 30 percent of gross Bitcoin in the past few months. Since the launch of the Lightning Network, Bitcoin’s transaction fees have gone down. Though the number of transactions is still down too, better days are highly anticipated. As matter of fact, the Lightning Network is purposed to help reduce the fees on the main Bitcoin network, too. The Lightning Network permits Bitcoin users to come up with new transaction channels between one another. The affiliates can then make transactions without the need to post them to the Bitcoin blockchain, hence avoiding the delays and costs that come as a result of recording the transactions every time. Once the channel is shut, only the final balances are recorded on the blockchain, and not the full history of the transaction of the channel. It is only when that is done that the Bitcoin fees are settled. There is no specific time allocated for every transaction made by the clients or any transaction limit before one is able to close a payment channel. So they can possibly remain open for several months and/or years. Elizabeth Stark, founder and CEO of Lightning Labs, says that merchants and digital businesses will be some of the most likely users as it enables high volumes of payments and requires substantially low fees. Ideally, the cryptocurrency exchanges can leverage the software to speed up the deposit and withdrawal of funds, Stark added. Currently, the network has the potential to process thousands of transactions just in seconds. This is said to be an incredible solution for the Bitcoin enthusiasts who went through tough times trying to leverage Bitcoin transactions. Today, more than 3.5 billion people have access to the internet, but most them may not have direct access to the traditional exchange systems. The people in this category are prime targets for the cryptocurrency market. Africa’s M-Pesa system, a mobile-based transfer platform, allows users to make transactions in Bitcoin. As of late 2017, one-third of Kenyans have a Bitcoin wallet and they can easily transact in the currency. Universal access is an example of what affects the price of Bitcoin. Unlike with credit cards where the users have to pay the service provider, there are usually no transaction fees for the cryptocurrencies since the miners are compensated by the network. However, there is the involvement of third party services such as Coinbase, which may charge fees. Ideally, the Lightning Network is a model of smart contracts crafted on top of the base of Bitcoin blockchain that permits for easy and convenient payments straight between two parties. On a technical model, the Lightning Network is primarily crafted on the payment channels which were initially envisioned by the creator of Bitcoin in the early days of its development. The key idea behind this project is that two individuals put some Bitcoins into a multisig address and they have to sign transactions that regulate the amount of Bitcoin that each party is able and willing to redeem. The payment channel and process can be closed or terminated by either party at will, but it is fair enough when they both agree to do so. The last transaction will then be recorded in the system and broadcasted to be included in the Bitcoin channel. From a complex perspective, the Lightning Network use of payments effectively permits the users to transact with one another directly instead of having to broadcast their business to the whole world. The users are also able to track their payment transactions between each other without a third party. The two parties are therefore able to avoid expensive and time-consuming transactions with their blockchain. In case there are some sections of dispute in the Lightning Network, either both of them or one of the parties can submit the latest valid state signed by both of them to the blockchain, which then acts as an automated judge to sort out the issue. The good thing is that the blockchain cannot be bribed or corrupted; it is fair. No one has the ability to cheat or even fudge the numbers. The Lightning Network permits users to transact with anyone of a company that is connected to their primary line of payment through numerous hoops. This is ideally a network of payments that enables faster transactions. The Lightning Network is considered the most reliable problem-solver for both the buyers and sellers who do not have time to wait for long durations before transactions are processed. The main advantages of the Lightning Network are that it enables very low transaction fees and instant payments, hence users are able to avoid the processing which always takes at least 10 minutes. There is also increased privacy since most of the transactions are never stored in the public ledger forever. While there are many factors affecting Bitcoin price, the Lightning Network ensures that such factors do not make the buyers and sellers incur ridiculous expenses. There are some cheaper alternatives as compared to Bitcoin, but the Lightning Network is meant to ensure that there are cheaper transactions as compared to all other digital coins. The others who crafted the initial overview and draft of the services offered by the Lightning Network reported that the platform is set to offer transactions as cheap as zero charges. Also, low charges means transactions found on the Lightning Network can be accepted as valid on an instant basis. This way, there’s no need for waiting for an extra 10 minutes until the processing is done. With this improvement, buyers and sellers are able to make as many transactions as possible and having them accepted within a matter of seconds. There is also the possibility for greater anonymity as the buyers and sellers do not have to expose their transaction details to the public as compared to not using the Lightning Network. Regardless of how Bitcoin value increases, the Lightning Network will ensure that the transaction fees are lowered as much as possible. As compared to the low-fee altcoins, Lightning Network has a higher liquidity, relative longevity and lower volatility, and is therefore more reliable. Many people can easily prefer to use Bitcoin just as it is, or use altcoins instead, and this is why Bitcoin as always managed to succeed in the face of relative higher fees. As cryptocurrency is decentralized, the personal information of any given person who is using Bitcoin will remain private. That is why the currency is quite common, and it’s being used by criminals since it can protect their identity. Bitcoin mining is also safe from the outside world as there is no role played by third parties. Unlike credit cards and PayPal, when one opens a Bitcoin wallet there is no demand for personal information or formal identification. This makes it much harder for a merchant as well as law enforcement to link a Bitcoin address to an actual person or group. But because Bitcoin is a public ledger system, it is possible for the general public to at least see how much funding has gone through a certain Bitcoin address, for example, a donation address where they also have made a donation. A fundraiser can fix this by asking for donations at a stealth address. Stealth addresses are a new, different type of Bitcoin address where the sending wallet, after recognizing the address as stealth, will generate a brand new address to send funds to for each payment. This means that if for example, someone sends out 100,000 emails asking for a donation, then they can put just one donation address in the email in the form of a QR code. Anyone who makes a donation will not be able to see funds from all the other thousands of donors. This also makes it harder to trace recipients by gathering together transactions that are known to have been sent to the same person. It affords an extra bit of privacy and stealth to Bitcoin’s public ledger system. One of the key features of the cryptocurrency that makes it quite sought-after is the anonymity that one can have, unlike when they send and receive cash. While other means such as PayPal require that senders disclose their identity before being able to send and receive transactions, there are no such things in the world of digital currency. With the digital coins, one only needs to disclose their wallet address and they are good to go. With that said, still, it does not take a lot of time to identify a given user from his/her local address. In order for an individual to receive Bitcoins, they are required to share the public address to the same network, which ends up disclosing their privacy to some extent. However, whenever there is a transaction on the Monero network, the person sending the Bitcoins uses the receiver’s codes to generate the stealth address, which in turn issues the instructions to send the output to a one-time destination on the authentic network. The output then sent to the sender is also structured in a way that the individual receiving can be able to scan the blockchain and by using the private key, they can identify the output which is designed for the address. That way, though every person can perceive the one-time public key on the blockchain, it is only the sender and receiver who know the exact details of the transaction completed. On the other hand, the receiver’s public address does not have to be publicly linked to any instance of the transaction. While stealth addresses can be employed to ensure safe online transactions, it is still considered a double-edged sword by many people who understand its potential. It is a fact that this method is and will always remain a safe means for genuine users who are looking to use cryptocurrencies. 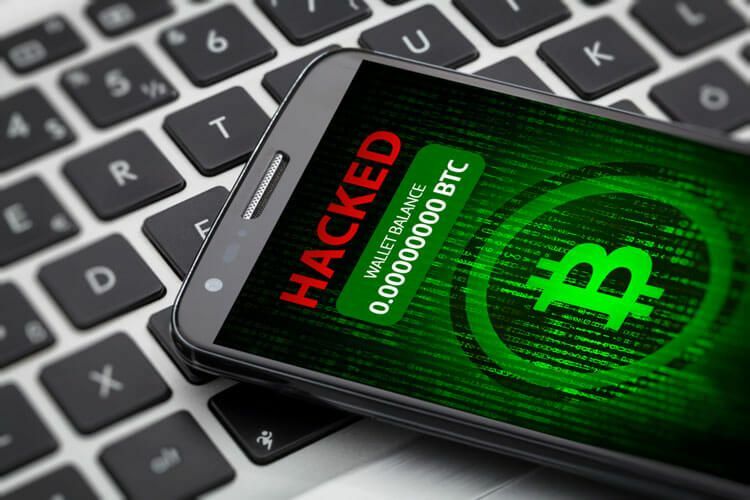 On the other hand, it is a powerful additional means of security for the malicious users who have bad intentions with the digital currencies. 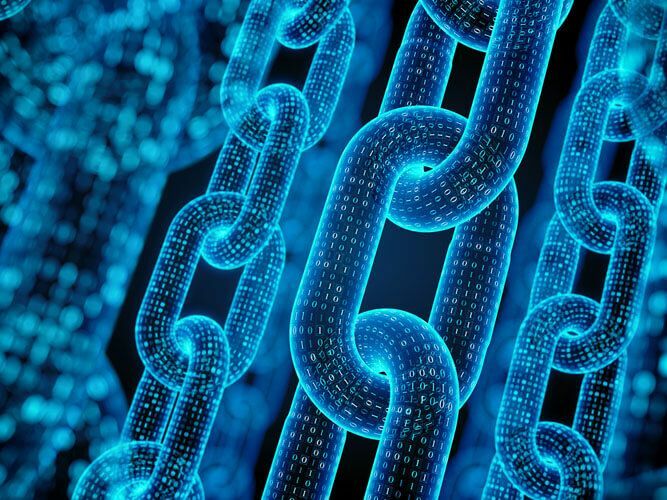 If one happens to know the address of a terrorist that they use to make transactions, then the same can be used to track them down with the intention of putting them to justice by leveraging the blockchain. The bad news is that when this user utilized the stealth address when doing the transaction, it becomes impossible to track them down. It’s accurate to conclude that the anonymity of the person who is associated with the said terrorist is made a lot easier when they use the stealth address. The aftermath of this is that many people will resort to engaging in illegal activities because they’re protected with the stealth address system and cannot be tracked down even with the best intelligence. Most digital coins have been enabled to hide the identity of the users and keep the wallet anonymous while they’re making transactions. This is what makes them the best way to transact financial information, as transactions are not disclosed to the third party. It is important also to note that while some coins are being hyped as private, most of them are not. This is why it is crucial for the users to make certain they’re doing the right transaction with the right digital coin. Some of the coins end up disclosing the information especially to the IT experts who are willing to have them accessed. In the recent times, there have been issues raised about the privacy properties featured by coins such as Monero and Zcash. It is the duty of the Bitcoin enthusiasts to take make certain that they utilize the benefits brought by stealth addresses every time a transaction is made. Many people have lost their investment when trading Bitcoin, either to hackers or scams. Most have failed to recover from the financial loss and ended up desperate. There have been dozens of reported stories about hackers and cybercriminals using the Localbitcoins platform to launder stolen money. Whereby they use stolen money to buy Bitcoins from innocent traders who are aren’t aware of they’ve been compromised. There is no foolproof way to protect your coins from threats caused by human error. Some issues that may arise include password theft, technical glitches and even fraud. One study of the Bitcoin exchange market revealed that 18 out of 40 online businesses offering to exchange Bitcoin to fiat currencies have gone out of business. Of these, only six companies reimbursed their customers. The study is evidence that most exchanges last around one year and there is a 30 percent possibility that the exchange will shut down within the year that it opens. This is one major factor affecting Bitcoin price. 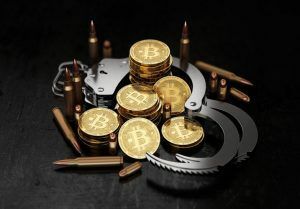 Even though there are minute guidelines in some nations governing the trade of Bitcoins, there is a high possibility that governments may decide to view them as a giant money laundering scheme. From such a point of view, the federal powers may enact strong regulations that could end up bringing down the value of the currency. The system is designed to limit the speed and the number of transactions that can take place, thus reducing the possibility of making Bitcoin a conventional payment method like credit cards. Even though the currency is greatly used for illegal transactions, the possibility of using BTC in conventional transactions becomes complicated. They cannot majorly disrupt the existing fiat currency or electronic payment systems. The currency would need applications to be used for money transfers, electronic transfers and micropayments transfers. There are emerging reports about Australian banks adopting the act of freezing accounts owned by people who take part in cryptocurrency trading, especially the ones who are involved in Bitcoin. This moves has really caused a lot of tension among Australians who are interested in Bitcoin trading. The crypto industry is working around the clock to ensure that only legitimate transactions are carried out in various platforms. There are new rules and regulations that users must adhere to before they are allowed to make any crypto transaction. Exchanges are now more likely to freeze the funds and deny any access by the owner until they are able to verify their credibility. 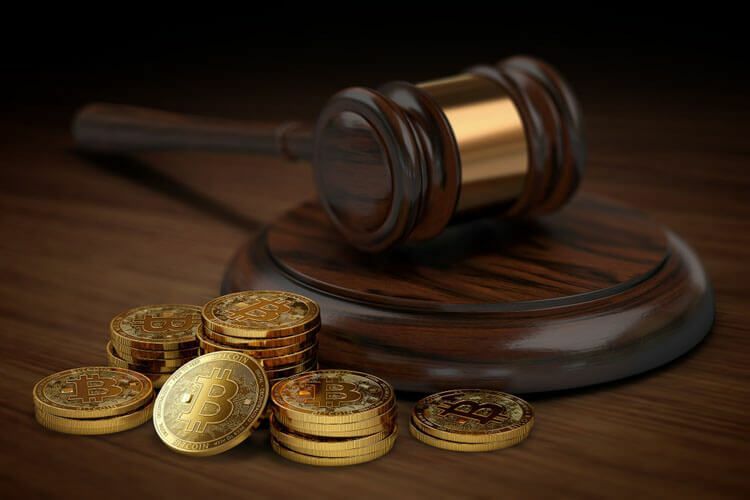 There is the need to comply with an order from the court of law or any other authority which has the jurisdiction over the crypto agencies to restrict the funds. Lately, there have been reports that the law enforcement authorities are making efforts toward being able to track user-based online transactions by analyzing the transactions available on various online platforms. In order to avoid such risks, individuals are gravitating towards using cryptocurrency tumblers when they intend to make any transaction or trade. Tumblers are a viable option since the altcoins leverage methods like ring signatures and stealth addresses to help users remain anonymous. With tumbling, all that a person needs to do is send the altcoins to a blender, which mixes up the coins before a sender is able to withdraw them. What is the possibility of Bitcoin becoming a long-term store of value? Depending on whether a person will invest in Bitcoin or not, it all relies on whether Bitcoin will eventually become a store of value in the long run. By knowing how Bitcoin value increases, then you can make a sound judgment on whether to invest in Bitcoin. If the coin becomes a long-term trusted store of value, it will be trading at an estimated $2 million for every coin by within three years. The value of Bitcoin will depend on how many coins are in circulation and how many are lost. With a cap of 21 million coins, the demand and uses of Bitcoin are on the rise. On the other hand, when the coin cannot create and instill trust as a store of value, there is a huge possibility that the price of Bitcoin will be close to zero. However, when it becomes a collectible, the cost of Bitcoin may remain high. For those who think that Bitcoin has a possibility of becoming a long-term store of value, then it will be prudent to buy or invest in mining. There are risks associated with the currency, but investors may opt to put small portions of their money in this. When you think that BTC has a low chance of being a long-term trusted store of value, then you can avoid investing in it. You may also consider a short if you think that BTC has a low possibility of becoming a store of value. By viewing Bitcoin as a religion, how good is it marketed? Just like other stores of value, Bitcoin has no cash flows, and its value depends on what others think it should be. Just like with organized religion, there are the early disciples and evangelists of Bitcoin. They are responsible for creating its value. The earliest people to invest in Bitcoin are smart and great at marketing. Moreover, most of them are rich, and they can make Bitcoin to go mainstream. With the founder unknown, the currency has been greatly accepted and fewer faults are seen of it. As people view it as a true religion, then it will become easier to hold value, and less fluctuation will be seen in the market. Ultimately, to invest or not is a personal decision. And while there are benefits that accrue to investment, there are also losses associated with it. However, being careful and analytical are two mindsets to have when considering any investment. Until in the recent past, the government was in charge of issuing currencies. For instance, the U.S. Dollar was backed up by gold, a hard currency. With this in place, you could redeem the dollar bills for a predetermined amount of gold. For the U.S. government to make more money, it needed to place more gold into the treasury to be able to cover the redeemable obligations. With the use of gold, there emerges the question—Where does gold come from? Whenever the government needed to get more gold, they would mine higher volumes of it. But over time, the government stopped backing up the U.S. Dollar with gold. Now, currencies are backed by general faith on the government itself. While fiat currencies are affected by low production value and hyperinflation, Bitcoin is backed by a high cost associated with production. The virtual mining process consumes a great amount of power and computing capacity. For instance, it is estimated that annual Bitcoin mining capacity could generate as much energy consumption as used by the entire nation of Argentina in one year. Most of the energy is used to run the machines while the rest is consumed by the fans that cool them. Critics argue that the time and energy spent on mining the coins is wasteful; however, it plays a role in seeing that it is secure and immune from government centralization. From economics, a given product’s financial value depends on the fair market value, which is backed up by the demand and supply of the same. Moreover, the demand of products is fueled by the utility of the same. The scarcer a product is, the more valuable it becomes. 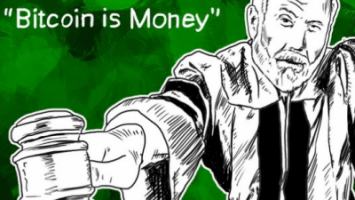 With fiat money, the supply of the currency is unlimited. The government may opt to give more currency by fiat. With most cryptocurrencies, there is a fixed supply. Only 21 million Bitcoins can be mined, and once they are extracted, there will be no more to mine. Being mathematical abstractions, the commodity becomes one of the scarcest items. Through the very conceptual definition of money, Bitcoin is classified as a legal tender. Over time, it has become useful in more than one aspect. Fiat currency and Bitcoins have limited utility, currently. There are more than 700 alternative cryptocurrencies. Bitcoin has the highest value due to the market demand, however, if one of the alternative cryptocurrencies takes off. They would offset the market and thus affect the value of the currency. Take Steem as an example. It is a decentralized version of Reddit. The cryptocurrency can take power off from social networks where you get paid in cryptocurrency every time a person reads your post. As more people visit the site and read your posts, the more valuable the network will become. The ability of cryptocurrencies to do away with giant corporations and central governments increases the utility value of the currencies. The current Bitcoin price spike has helped put Ethereum in the limelight as compared to other coins in the market. ETH got more media coverage as compared to other altcoins. A comparison between ETH and Bitcoin shows that the price and growth are quite high. With growth, media coverage and much emphasis on the coin, it is presented as a promising alternative to Bitcoin. The idea behind ETH is the ability to run a decentralized app. The strong programming language means that different features can be added to it. Even though the coin has some complexities that increase the room for errors, ETH has better functionality and higher scale. Ethereum transaction speed is a huge advantage as compared to the time required to process a BTC transaction. The coin is backed by a large number of developers who seek to develop it and make it even better. This translates to a higher price and demand for the currency. The large Fortune 500 organizations that have joined the Ethereum Enterprise Alliance have helped to determine the price of the currency. With such organizations behind it, Ethereum is viewed as safe. So, buyers are sure the currency will increase in value while its price fluctuates less. NEO is the first blockchain platform developed in China, with a huge market and more than 70 percent of BTC trade taking place in Chinese Yuan. The economic policies, market and the level of cooperation between the public and private enterprises act as a backup to the currency. The Chinese policy to support their own will affect the growth, price and demand for this altcoin. By working to acquire smart certificates, the company will be able to map real global assets using the NEO contract. Unlike Bitcoin, NEO has received funding support to advance the technology. It has survived and even grown in spite of the regulatory purgatory surrounding cryptocurrencies globally. The currency has its advantages, including compatibility with all the current coding languages and an ability to support smart contracts. The biggest benefit is NEO’s ability to generate “gas” that is used on the platform. NEO has a cap of 100 million, and it is estimated that it will take 22 years to reach. The most notable advantage for NEO is that you can acquire it and let it sit in your wallet; it will generate coins just like dividends, a major factor that drives the price of this altcoin. Speculation alone will help to make Ripple one of the giants in a few years. A few years back, Ripple was basically worthless—with a few hundred dollars, you could acquire large amounts of this coin. But now, with the heat of cryptocurrency intensifying, the price of Ripple has increased by more than 40 times. Unlike other currencies, Ripple enables banks to transact directly and instantly, and with certainty. As the number of banks that adopt the currency continues to increase, the price of Ripple may keep on going up. This digital currency is commonly referred to as a decentralized version of Reddit. Steem has a big potential to increase in price and demand due to its earning capacity. Unlike other currencies that are traded to earn an income, the income from Steem is pocketed by individuals. In contrast to a company like Facebook which feeds ad revenue to shareholders, Steem’s income goes directly to the individual owners. Many of the owners are publishers and content creators who earn the tokens by monetizing their online content. This way, the ability to create an extra income may launch the price and drive it up. This cryptocurrency has a few main features that increase its value. EOS has a unique system of token distribution. There are EOS forums where people can find information from others who are well-versed with the technology. The current price and the distribution of the currency is well updated, allowing interested parties to consider with ease. 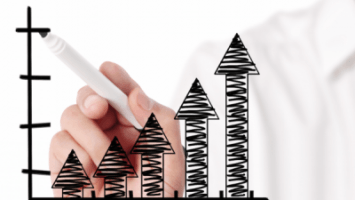 When the potential investors are guaranteed of their security and the ability to do things on their own, then the potential for EOS growth goes up. Currently, there is insatiable demand for Bitcoin. This is because there are limits on the number of Bitcoins that can ever exist. With more people trying to acquire more Bitcoins, we are taken back to the law of economics—a constant supply plus increasing demand will result in higher prices. Thus, it is clear that the value of Bitcoin is based on the current market demand. Bitcoin mining is becoming steadily more difficult, resulting in low supply in the market. Just like gold, acquiring Bitcoin in the initial days of its invention was simple. With the limited supply and higher demand, the currency will still retain its value and even gain more. The clashes experienced are due to market volatility. Thirdly, the currency has no third party involved. Increasingly, people are seeking more financial privacy in their personal and professional lives. Add the fact that trading in Bitcoin is legal in most nations, people will continue trading in the currency. With this support, a potential crash is further evaded. The Bitcoin protocol will evolve, and people will forget that the monetary part just happens to be an app written over it. There is a new possibility that Bitcoin could be dethroned and taken over by something else, maybe Monero or Litecoin. The buying process of Bitcoin will be much easier as compared to how it is now. All the current issues will be streamlined and getting the coins will be an easy task. In many countries, companies that trade Bitcoins to local currency will emerge. And if there will be no regulation, more exchange companies will mushroom, making it possible for everyone to trade in the currency. Several companies have accepted Bitcoin as a medium of exchange on their platforms. Over time, the small-scale merchant will also start taking Bitcoin into their trade. Assume that a trader is asked over and over again if they accept Bitcoins; the trader may have to think about it as they may see loss of business at stake. The volatility of Bitcoin and other cryptocurrencies will go down as the public reacts to what the media says. Positive coverage and an increase in awareness about Bitcoin will also raise its price. 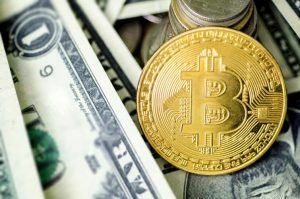 Bitcoin will appear more often in the remittance world; this means that companies that accept Bitcoins as a medium of exchange will be reporting it in their books. Moreover, currency brokers will be trading in Bitcoin more often. Can the currency be counterfeited by hackers? Bitcoin and all altcoins use a distributed ledger. This means that everyone in the system has a copy of the same. Best of all, they all agree with each other on who owns what. The system also ensures Bitcoin value. It is impossible to change the transactions or history on other people’s computers. The owners can change it locally if they try, but others in the system will refuse the copy. The blockchain technology has evolved to be a global programmable asset tracking mechanism. It’s more of a record that cannot be messed with since everyone has a copy of it. Is there a reason Bitcoin won’t work? For commercial purposes, currency should be quite stable. Sellers tend to price their goods, and they avoid setting a price until they are sure of the exchange rate and a reserve quote. For commerce, Bitcoin fluctuates too much. As such, it would be quite difficult to trade in. Assume that a shoe trader is selling their Bitcoin at 0.0024. After a market price surge, the shoe is worth only 0.0021, and that is no way to do business. Currently, Bitcoin works perfectly as an investment vehicle. However, using it for commerce purposes is quite futile. You cannot get free Bitcoins! You will have to spend your time and resources to receive a fraction of a Bitcoin. The fractions are mostly from websites that award their users with Bitcoins. Investing in Bitcoin depends on the intended purpose. Bitcoin is used as investment vehicle, which is why it may take long to return on your original investment. The validity of an investment depends on the interest of the investor. You do not need $10,000 to invest in Bitcoin. You can start with as low as $100 and assume that the price rises as it had in the recent past, and then you will have made more than what you initially invested. Traders who want to make millions within are week likely to lose their investment. However, with the current demand and supply trends, you can always get a perfect time to let go your investment. Thus, it isn’t late to invest.